3600101 15BT-7 HYUNDAI 15BT-7 Electrical Forklift BT series. Spare parts catalog. Service Manual. 3600102 18BT-7 HYUNDAI 18BT-7 Electrical Forklift BT series. Spare parts catalog. Service Manual. 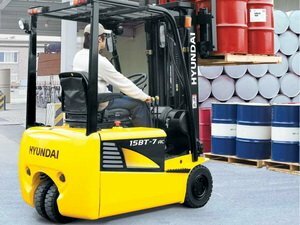 3600103 20BT-7 HYUNDAI 20BT-7 Electrical Forklift BT series. Spare parts catalog. Service Manual. 3600104 15BT-9 HYUNDAI 15BT-9 Electrical Forklift BT series. Spare parts catalog. Service Manual. 3600105 18BT-9 HYUNDAI 18BT-9 Electrical Forklift BT series. Spare parts catalog. Service Manual. 3600106 20BT-9 HYUNDAI 20BT-9 Electrical Forklift BT series. Spare parts catalog. Service Manual. 3600108 10BTR-9 HYUNDAI 10BTR-9 Electrical Forklift BTR series. Spare parts catalog. Service Manual. 3600109 13BTR-9 HYUNDAI 13BTR-9 Electrical Forklift BTR series. Spare parts catalog. Service Manual. 3600110 15BTR-9 HYUNDAI 15BTR-9 Electrical Forklift BTR series. Spare parts catalog. Service Manual.